To be honest, I never used a film SLR before. I was using a film point and shoot before and camera settings is a no no for me back then. Then the shutterbug bit me, I became immensely interested in photography that I became familiar with the technicalities of it. When I first bought my DSLR, which was a Canon Kiss X4 (550D elsewhere), setting the ISO, aperture and shutter speed became natural to me. I am no expert in digital photography but I was not satisfied with what I'm doing. 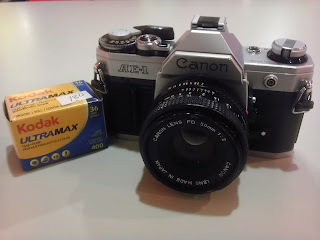 When an opportunity came when a fellow photographer of mine was selling his old Canon AE-1 for only P3,000 ($72). I immediately took it for some test shots. At first I'm having problem loading the film. I never loaded a 135 size film before and I am scared that I might overexpose the film without even using it. Lucky, the attendant from the Kodak store, named Arianne, guided me into loading the film. I walked around Trinoma taking shots, it may not be award winning shots, but the feeling of shooting with a film camera and not knowing what will happen is a very good feeling. The turning of the lever to move to the next frame of the film mimics the cocking of the magnum pistol after every shot. It wasn't for long I spent all the 36 shots and I headed back to Kodak to get my photos developed. 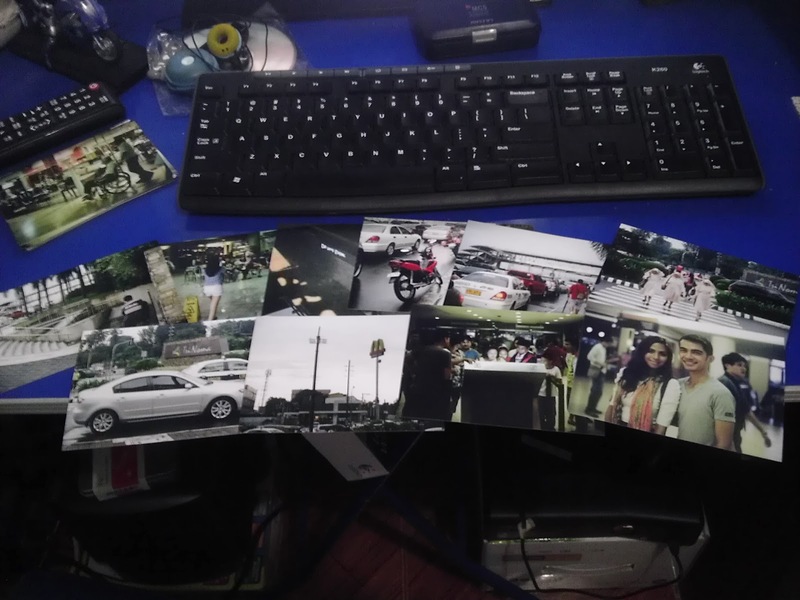 The nostalgia of choosing what size and what type of photo is priceless. 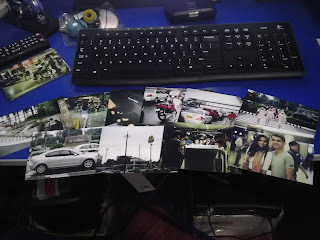 I chose 3R as the size and matte as the texture of the photos. After an hour, the my excitement was at it's peek. At first I was afraid that only a few good shots were taken due to blur. (I am not good with manual focusing lenses unless it is attached to the NEX) but the photos came out fine. Some may not be sharp but not a disaster also. It felt good. Buying film may be expensive now (P98 24 shots ISO 100, P168 24 shots ISO 400, P112 36 shots ISO 100, P180 36 shots ISO 400), but the satisfaction it gives me is priceless. I'll continue shooting with film for now but I will not leave the digital scene just yet. Woah!Thank you so much for telling us about this camera.I will tell my blogger friends about this camera.It will be handy for them.